You can now download LibreELEC Kodi 17.4 Krypton 8.1.1 beta for your compatible Linux machine. As always, we have all of the details on this latest LibreELEC release, the latest in a line of updates for what is a popular Kodi distribution for the Linux platform, described as having “just enough OS” for Kodi. This is the second BETA of our 8.2 release; a mid-year version bump to enhance hardware support and capabilities. This beta addresses issues in our OVA image, a Broadcom WIFI firmware vulnerability for Raspberry Pi 3 and Zero W users, and MPEG issues seen with some nVidia cards. It also adds support for the inexpensive Xbox ONE (DVB-C/T/T2) USB tuner (about €12 on eBay), and LibreELEC settings gains new options for changing the embedded Samba server Workgroup and adjusting the SMB protocol versions supported for security and SMB share compatibility. Kodi is bumped to 17.4 final. Of the changes that have gone into this release, users can expect an update to Samba 4.6.7, additional support for the very inexpensive Xbox One (DVB-C/T/T2) USB tuner and the updating of the nVidia main driver to 384.69. The update also includes changes to the way SAMBA shares are handled in response to the fact Microsoft’s Creators Updater removed SMB1 client/server support. The fall “Creators Update” for Windows 10 removes SMB1 client/server support and NAS devices now ship with configuration that only supports SMB2/3 – causing problems because all versions of Kodi before 17.4 can only make SMB1 connections. 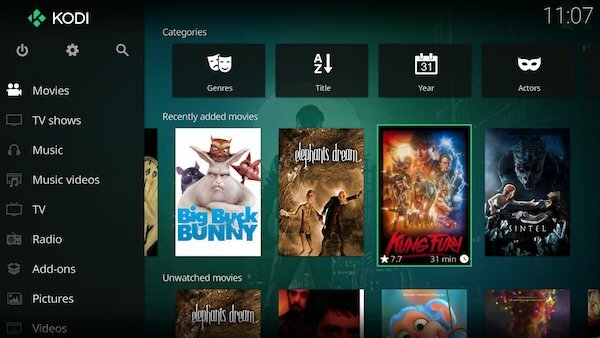 This release includes changes that allow the Kodi SMB client and our embedded Samba server to work with SMB2/3 connections; improving SMB security and performance. You can download LibreELEC right now from libreelec.tv/downloads or via the software’s built-in update mechanism.